Enjoy waking up to paradise right outside your window. Step out on your private lanai and breathe in the sweet tropical air as you watch the graceful surfers ride the gentle breaking waves. Take advantage of your home-away-from-home and prepare a meal from your fully-equipped kitchen, sit back and enjoy the incredible view as you plan your day in paradise. Your island home includes one bedroom with a queen size bed, private bath, a living room equipped with a sofa, table and chairs, TV, and kitchen. An additional bathroom features an ocean view. Although the view is great from the sofa, the lanai, which includes two chairs and a table, offers fantastic sunsets. Located at The Imperial of Waikiki in the new Waikiki Beachwalk shopping and entertainment district just a short 100 yards from the sand, your stay includes use of the unique rooftop pool and jacuzzi. A restaurant and a convenience store are located just downstairs and the Waikiki Beachwalk district right out the door. As a guest, valet parking is available for a daily fee. no need to wash towels! Free Valet Parking, Free WiFi, Free towel exchange, daily trash pick up. Just as advertised but way better in person! Well worth the price, parking alone is $35 per day in that building. Owner delivered a great value and exceptionally tidy unit. Pictures don’t do it justice! Looking out at the never ending pacific is so peaceful! Great location, directly across from the beach. 2 full bathrooms and the kitchen made the stay easy for all. Karl was so responsive with local tips & suggestions - plan to stay here again! We really loved the room! very nice, clean and well equipped! Wonderful staff to answer all our questions and make us feel welcome! Everything was just as described. Thank you for the use of your home! A destination for true vacationers! Lots of light and good energy in the place. From the moment we walked in we felt relaxed and at home. Two great bathrooms and a lovely bedroom. The living room and kitchen area are terrifc. Perfect amount of space for two people. The downstairs staff in the lobby are so helpful and nice. I love love love the abc store downstairs. Found the breakfast there was better and more economical than Dennny's. the gals in the abc store made everything to order with no oils and only fresh ingredients. Very clean in the store too. The location is centrally located right in the heart of all the fun. We grabbed some towels and headed to the beach each day. We felt sorry to leave but knew we would be coming back. 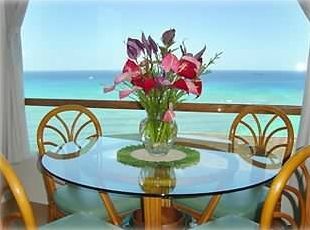 Mahalo for sharing your condo with us through vrbo! The location was outstanding & the view was incredible! Lots of construction happening in your lobby which made for long waits for the elevator. Looks like it will be beautiful when complete. We attended a wedding at the Royal Hawaiian which is a nice stroll only two properties away. No need for a car, close to everything! We used Uber when we needed to leave the area. The ABC store downstairs was our go to for salads, sandwiches, beer, water, etc. There's a Denneys on the first floor which was great for breakfast. A fantastic time and much needed by the hubby and I. Mahalo again!